This year San Jose’s Cinequest Film Festival (March 5-17) expands its name and offerings. 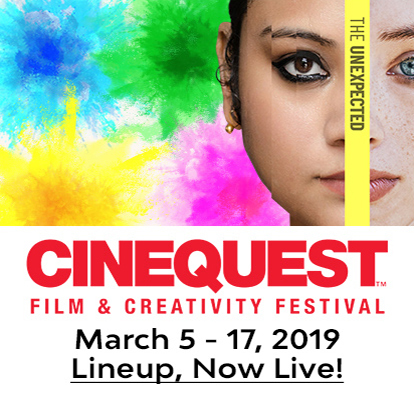 Cinequest, founded in 1990, is now officially the Cinequest Film and Creativity Festival to accommodate the ever-expanding world of media production and entertainment. To film lovers the film is king. The reality, however, is that viewers are seeking entertainment and information well beyond the local movie theater, which was the way it was when Cinequest was founded in 1990. Always innovating, Cinequest 2019 is offering music and dance performances to compliment the featured films, as well as a fashion and wearable technology show. Virtual reality experiences, TV formatted programming, and webisodes will also happen during the festival. Cinequest plunges deeply into new territory for film festivals with their first ever Creativity Summit. The keynote speaker is none other than Palo Alto High School journalism teacher Esther Wojcicki, “Woj” to her students, friends, and fans. Woj is being recognized for her innovations in the classroom and her lasting impact on students—many of whom have gone on to distinguish themselves, crediting Woj as a major influence. Rather than a teacher-driven education experience, Woj insists on student-driven, creator-driven learning through group projects and individual initiative and experimentation. Woj’s approach combines the disciplines of journalism, reporting, and story-telling with the exploration of alternative media platforms. 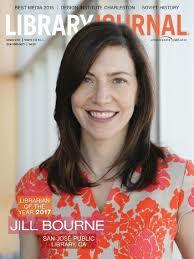 In addition to Woj winning the prestigious Life of a Maverick award, Cinequest is honoring librarians this year as well, and one in particular, San Jose City Public Librarian Jill Bourne who was named librarian of the year by the “Library Journal.” The research librarian is the unsung hero of any endeavor needing data and background. Where would journalists, storytellers, academicians, scientists, and researchers of all areas be without access to a person trained in information storage and retrieval? A Wikipedia search just doesn’t cut the mustard. Librarians get us right to the source, to the mother lode. Turns out librarians are pretty cool! Honoring teachers and librarians at a major red carpet event like Cinequest sounds revolutionary. That’s what revolutionaries do, they make a change which raises eyebrows, but then a few years later, everyone’s doing it as if they’ve always done it. Once again, Cinequest breaks new ground to offer patrons a truly inspiring experience. Maybe one day, we’ll see teachers and librarians on the red carpet at the Oscars. Maybe nurses and firefighters will be next, what would be wrong with that? 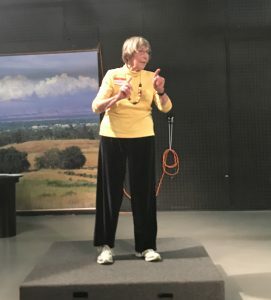 We salute Esther Wojcicki who has taught so many of the kids who have come through Midpen Media Center’s doors and changed the studio experience. Not only is Woj still pushing the envelope over at PAHS, but she is also the author of a book, “How to Raise Successful People.” How does she define success: by life experience. In a world that revolves around money, Woj focuses on the human potential in every one of her students. Most Cinequest screenings and events take place in San Jose, but several films will be screened at a satellite facility in Redwood City. To learn more about Cinequest, visit https://www.cinequest.org.